• Make More Money: By utilizing Suite Answer Center's billing feature. • Business Information at Your Fingertips: Detailed management reports give an in-depth business overview, including response time for each call, average time in queue and number of abandoned calls. • Versatile: Suite Answer Center software can be used in a standalone console application or with multiple consoles sharing a common database. • Save Money: Suite Answer Center is so easy to use, there is minimum operator training required and one operator can do the jobs of multiple operators. • Easy Conference Room Scheduling: CTI's Conference Room Concierge feature allows your operator to see the rooms and times available at a glance directly on her console. She types in client's account code or ID number and it automatically goes into their profile for automatic billing via Suite Accounting. Web interface coming soon. • Virtual Opportunities: Generate residual income by expanding your walls. Voice over IP phone rental, Answering Service-Call Overflow. • Simple Popup Window: An immediate pop-up screen shows the company profile and how the client wants the calls handled, i.e. station transfer, voice mail, announce a call, record-a-call, and transfer capability both inside and outside the office. The screen also shows the current activity of all extensions. • One Click Popup: Transfer calls to a client's extension or voice mail by just clicking on a button or using a function key. • Seamless Conferencing: The Teleconference feature allows the operator to conference or patch calls by simply clicking the mouse. • Record Call: The Record-a-call feature allows calls to be recorded verbatim directly into client's voice mailbox. • Easliy Take Text Message: Typed Text Messages can also be taken if the client prefers and customized to their needs. • Personalize Call Experience: Your clients benefit from the ability to personalize greetings, retrieve messages at any time, set voice mail mode and record and distribute messages. 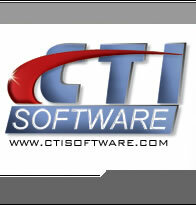 • Quick Status Changes: Clients have the ability to change their status via their phone or through CTI's web integration. • Voicemail Mode Changes: Clients can set voice mail modes to ensure messages are received during busy/no answer situations. • Paging/Text Message Cellphone: Clients can receive either alpha/numeric pages or text messages to their cell phone or Blackberry. • Patch Call to External Source: Client's calls can be patched outside the office to their cell phone, home phone, etc.